The new iPhone 5 is made from glass and aluminium. Looks cool eh? 1. Apple has Apple Stores in 13 countries world wide. Why not one in Malaysia? I am very fed up with the half-baked Apple crews that Apple authorized retailers employed. 2. Apple Stores served 83 millions visitors last quarter. 3. Mountain Lion, Mac OS has been the fastest selling release ever. 7 million copies of Mountain Lion OS downloaded. 4. Apple notebooks are no 1 in the US market share. 5. Last quarter, Apple sold 17 millions of iPads. To put that in perspective, Apple sold more iPads than any other PC manufacturers sold in their entire PC line. Post PC era is coming but still not complete yet. Editing documents in iPad is still not so easy compared with tablets. 6. From April to June 2012, iPad has 68% of tablet market share. Almost all 500 Fortune companies are deploying iPads. Amazing! 7. App Store has more than 700, 000 apps. 250, 000 apps are for iPad. 90% of the apps are downloaded every month. On average, a customer downloaded 100 apps. 8. Last quarter, Apple sold 400 million iOS devices (through June, cumulative). 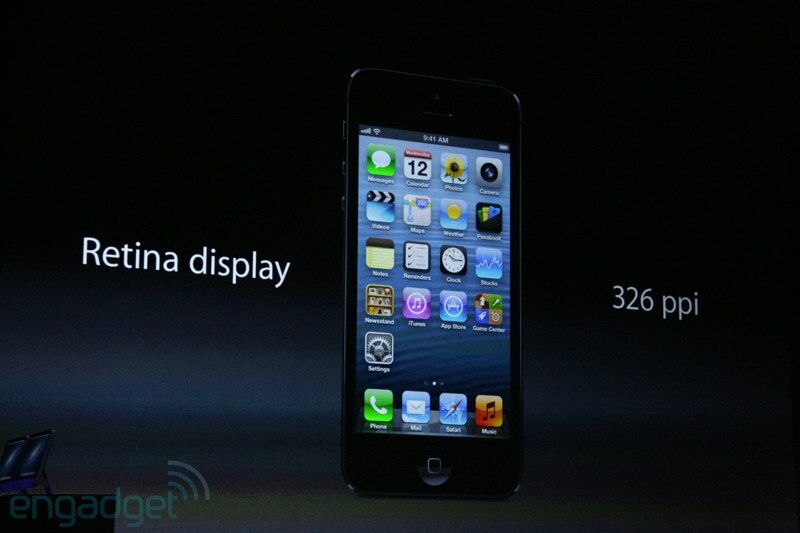 9. iPhone 5 launched. The thinnest and lightest iPhone ever. 7.6mm thick only. 18% slimmer than iPhone 4S. It weighs 112 grams, 20% lighter than iPhone 4S. 10. 4-inch display screen. Pixels are 1136 X 640. Closer to 16 : 9 aspect ratio. 326 ppi. Retina display. Taller but same width. The design concept centered on your hand. Makes it easier to use with one hand. 11. One extra row for apps due to taller screen. 12. The display of iPhone 5 has 44% more color saturation compared with iPhone 4S. Full sRGB color specification. 13. Integrated touch sensors into the screen itself. 33% thinner display and less glare in sunlight. 14. Introducing UltraFast wireless technology. iPhone 5 is equipped with LTE technology. High performing WiFi too. 802.11 a/b/g/n. 15. iPhone 5 is equipped with A6 chip. 2X faster CPU, 2X faster graphics and 2% smaller compared with A5. Launch pages 2.1X faster, save images from Photo app 1.7X faster, load music app with songs 1.9X faster. 16. Improved battery life. 8 hours of 3G talk time and 3G browsing. 8 hours of LTE browsing. 10 hours of WiFi. 10 hours of video playback. 40 hours of music playback. 225 hours of standby. 17. iSight. 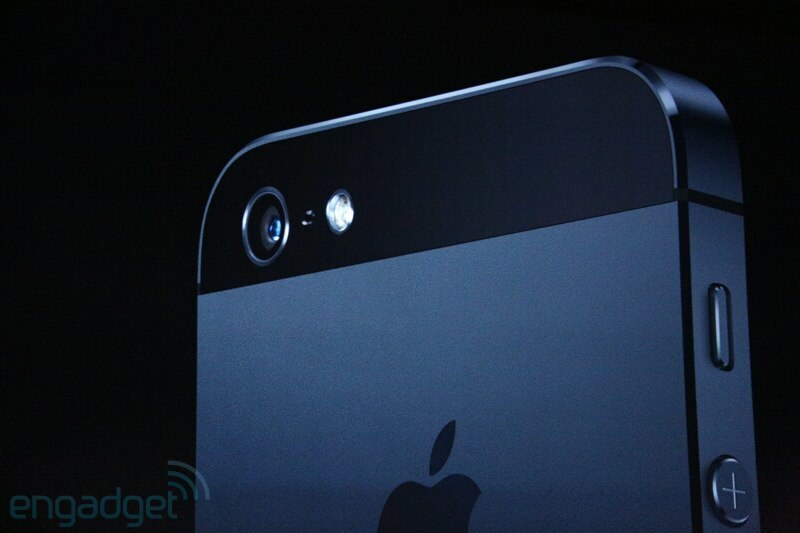 8MP rear camera, 3264 X 2448. Backside illumination, hybrid IR filter, five-element lens, f/2.4 aperture, dynamic low-light mode and precision lens alignment. Shared Photo Stream features. Built-in Panorama feature. Waited for a long time for this. Thank God it’s here already. Good for my travel. 19. Three microphones. One at the bottom. One at the top. One at the back. Better speaker. 20% smaller while sounding better. Noise canceling earpiece. Wideband audio to make your voice sounds more natural. 20. iPhone uses iPod 30-pin connector since 2003. Introduced new connector called Lightning. All digital, 8-signal design. 80% smaller and improved durability and can be plugged in either direction. There an adapter for old connectors. Hopefully the wire just below the connector will not be spoilt after using it for a while. Either direction? Man, that’s a great improvement. No more connecting it wrongly at night. 21. iOS 6 launched. Introducing Maps, Apple’s own maps app. Improvement in Notification Center: You can tweet or post to Facebook at the Notification Center. Synchronized tabs using iCloud. Mail: VIP lists. I want attachment function. No something fancy. Give me the basic functions!!! Passbook app: Put all your online tickets in there and use it. Simple? 😛 Improved Siri functions. Integration of Facebook in many of the apps. This year Singapore gets to enjoy iPhone 5 early than most countries. By December 2012, iPhone 5 will be available in 100 countries and 240 carriers. I pity China for always getting the iPhone 5 very late even though the phone comes from China. So, my prediction is having some solid grounds. I think iPhone 5 will come to Malaysia somewhere late November (if we are lucky, the 3rd batch of countries) or early December/middle December (the 4th batch of countries). This is just my thoughts and it’s not necessarily correct. Please take it with a pinch of salt. This is one thing that Apple has done it right every time they upgrade their OS. Compared to Android, this is an area where they really need to buck up. Apple can deliver update to even their old iOS devices such as iPhone 3GS. Android, you do this right and you will gain a lot of supporters and customers. That’s all for the iPhone 5 highlights. Good night guys and girls. I need to sleep already. Gotta go for work early morning. What do you think of this way of presenting the info for iPhone 5 launch? Do let me know your feedback whether you like it or dislike it. Thank you. Photos are courtesy of Engadget. Deal! I am on with that. Next story iPhone 5 Video Introduction is Out & iPhone 5 Lightning Connector Adapters Prices Revealed! 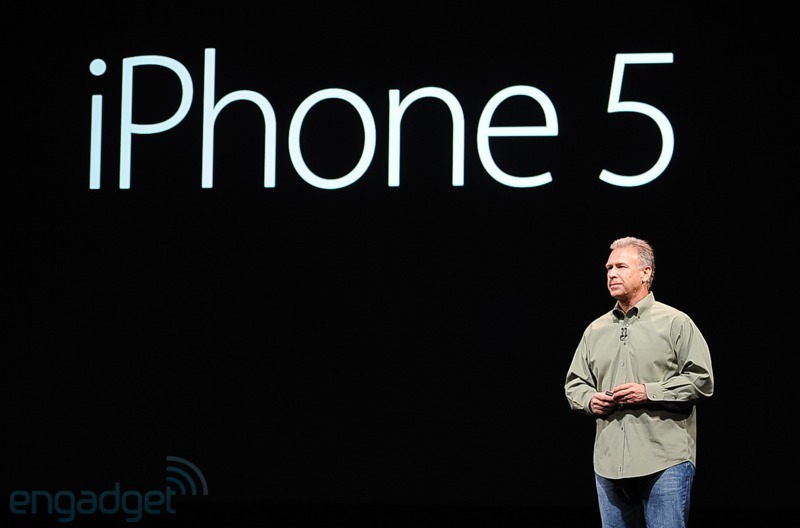 Previous story iPhone 5 Will Be Launched in US on 12th September 2012 & List of Live Blogs!! !